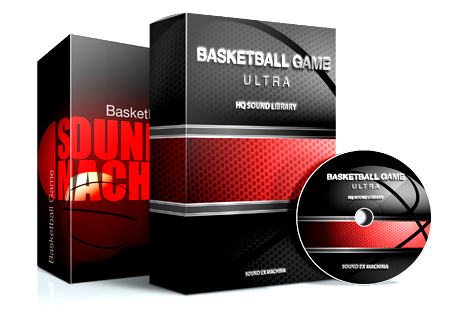 Basketball Game Pro is a sound effects library thematically centered around a basketball game (with over 200 people attending the game), giving you the opportunity to create realistic soundscapes of basketball games or other sports events for your audiovisual productions. 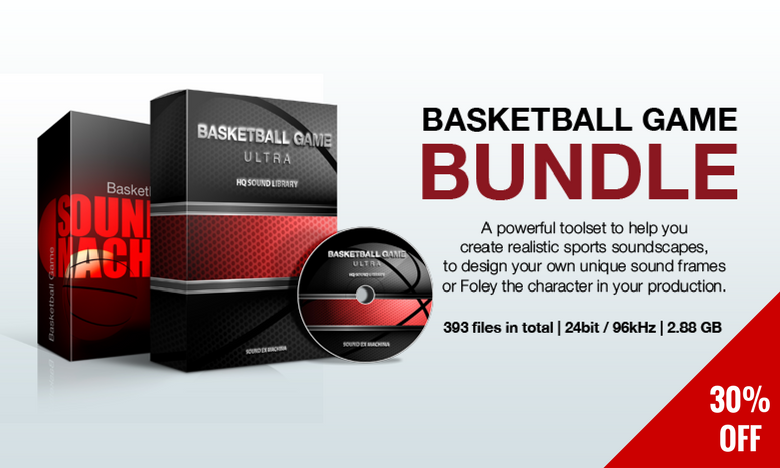 All sounds have been recorded in a real basketball match and are delivered at 24bit/96kHz, in an easily downloadable .zip file. The collection includes several versions of game air horns, crowd applause, attack, defence, fault, score and lost opportunities ambiences, referee whistles, crowd boos & yells and a short warm-up game ambience. The library contains only the interjections, purposely avoiding a specific language identity, making it more flexible and suitable for universal use. The library is divided into 11 folders of 59 audio files in stereo .wav format, packaged in .zip format and included PDF and XLS files with metadata. Free SFX Library | BASKETBALL GAME from sound ex machina on Vimeo. 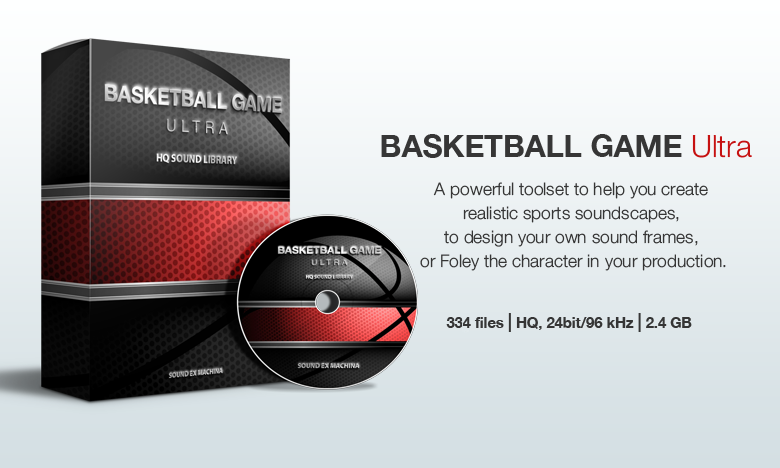 Need more Basketball Game sounds? 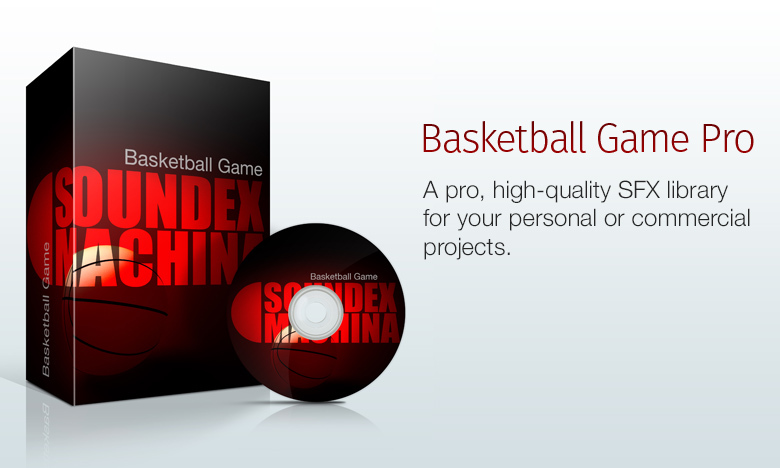 There is also the free lite version of the Basketball Game Pro library, which you can download by simply entering your email address below. Right after that, we’ll email you the download link.